Sabrina wants to go away to college ~ specifically Caltech. There's just one small problem ~ her parents are insisting she attend Boise State. But when you are yours parents midlife accident you have to be the perfect child. Operation Stalker begins when she finds a former classmate who fits her idea of the ideal creepy stalker. Now she just needs to convince him to be a stalker. Nothing seems to work quite according to Sabrina's plan and in a strange twist she may be developing a crush on her stalker. And when her mother decides they need to take action against this threat Sabrina finds herself getting deeper into the lie she's dug herself in. 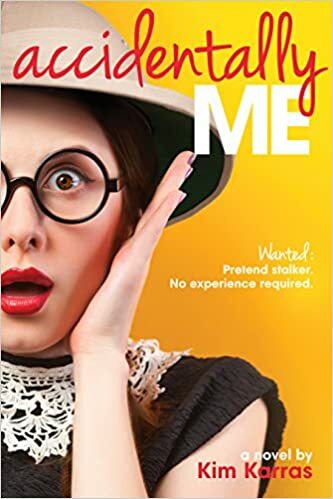 This is a fun story that teens and adults will enjoy, as Sabrina works through her insecurities and dealing with growing up. The prospect of facing the world on one's own can be both exciting and scary at the same time. This is clean fiction reading that you will enjoy laughing over and even shed a tear or two over. This is a book in which the importance of family is appreciated. Altogether a highly enjoyable and recommended book. I was provided a copy of this book by Cedar Fort in exchange for my honest review. WANTED: Pretend stalker. No experience required. Tall, dark, and quirky preferred. Sabrina is desperate to go to her dream college, but her parents want her to stay close to home. If she wants to maintain her perfect child image, Sabrina must break rules that even her rebel sister keeps.